Try these Sizzling Steak Fajitas made with flank steak and chili powder for an easy and flavor packed meal.Here's a fairly traditional version on the fajita: seasoned flank steak cut into thin strips. 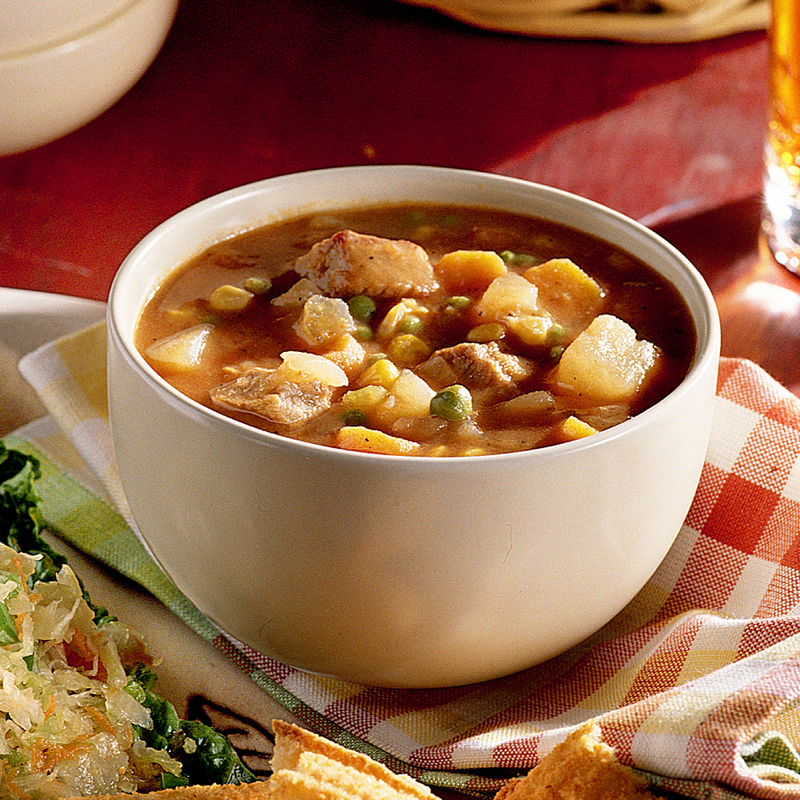 This slow cooker steak soup is an easy dish for a cold night. This classic Swiss steak recipe is the perfect comfort food dinner. 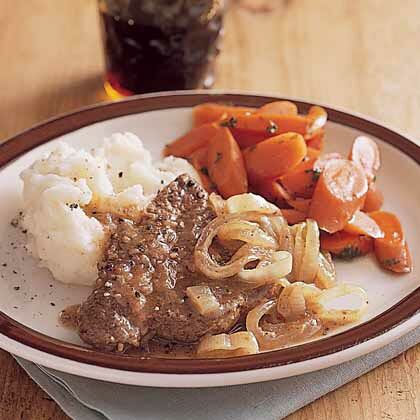 Simply coat flattened chuck steaks with seasoned flour, brown in a cast-iron skillet, and simmer with onions in water over low heat until tender. Serve with glazed carrots and mashed potatoes. 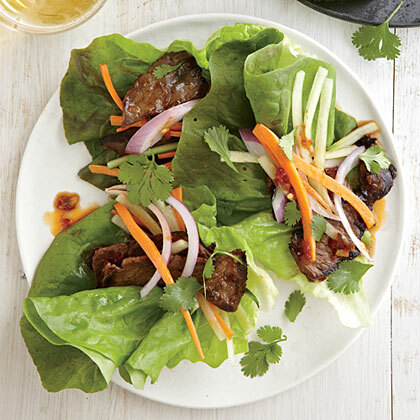 Spicy Steak Lettuce Wraps give traditional lettuce wraps a kick in the tastebuds with the addition of zesty spiced steak. Steak with chimichurri is one of Argentina's national dishes. 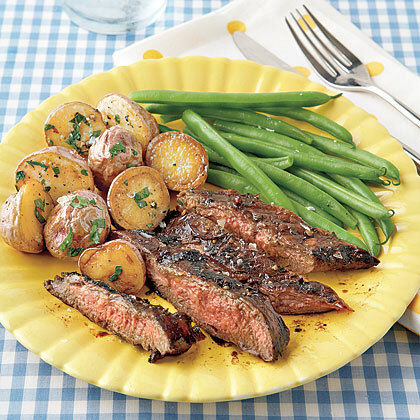 Although it's difficult to find, the author likes skirt steak, a full-flavored, inexpensive strip similar to flank steak. The steak is flavored with a rub modeled on "dry" chimichurri, popular among Argentina's gaucho's. 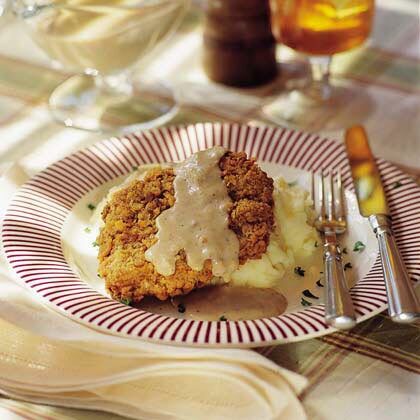 Chicken-Fried Steak is a Southern favorite that consists of steak dredged in a cracker-crumb mixture and then fried. This homestyle dish is great topped with gravy and served with mashed potatoes. 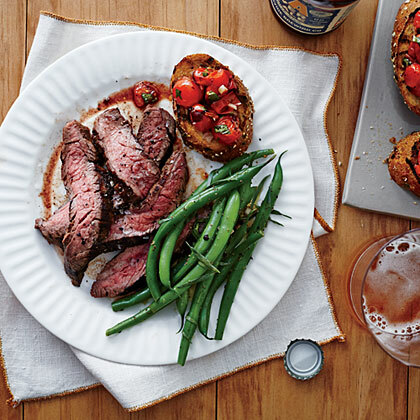 For a quick and easy dinner, serve Flank Steak with Tomato Bruschetta. 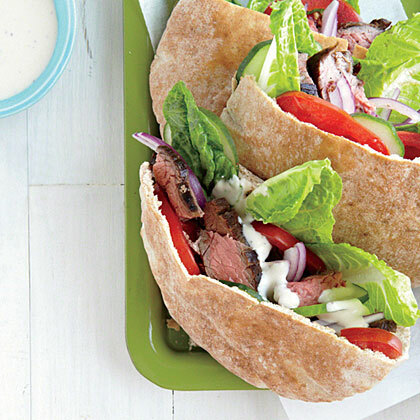 Flank steak is lean and flavorful and definitely has a place in your healthful diet. Not your mother's fruit salad. A cold, thick, steak-like slice of ripe watermelon pairs unexpectedly well with salty Cotija cheese and a smoky vinaigrette. Also try it with leftover grilled chicken or beef. The long marinade time ensures flavorful, tender bites Bulgogi Flank Steak. 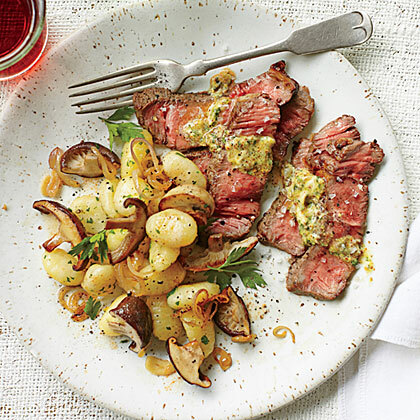 Marinate budget-friendly flank steak in balsamic vinegar, rosemary, and brown sugar and grill for an easy 4-ingredient steak supper. Serve with roasted new potatoes and steamed green beans. Whether you're sharing it with a loved one or serving it up to your family, this steak is destined to impress. 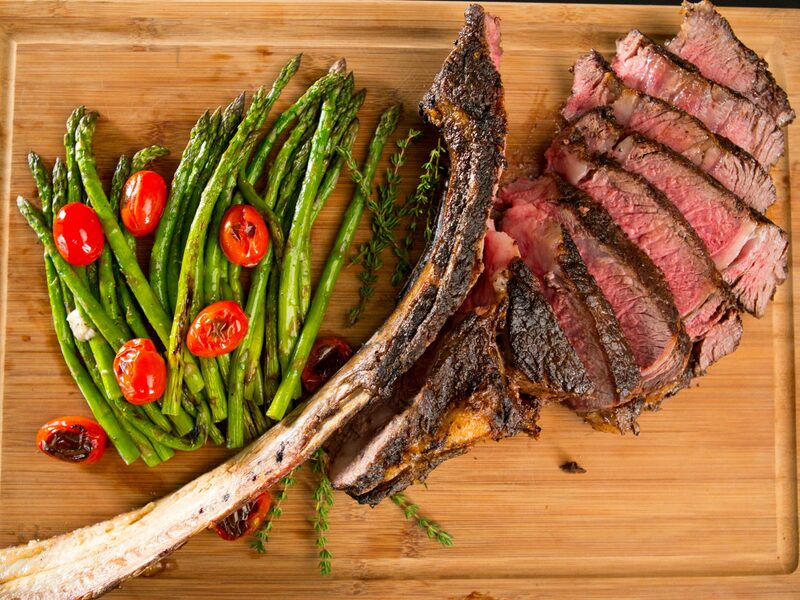 Be sure to call your butcher ahead of time to reserve a tomahawk. Fire up your grill for these sizzling steak recipes–featuring tenderloin, sirloin, New York strip, and porterhouse. 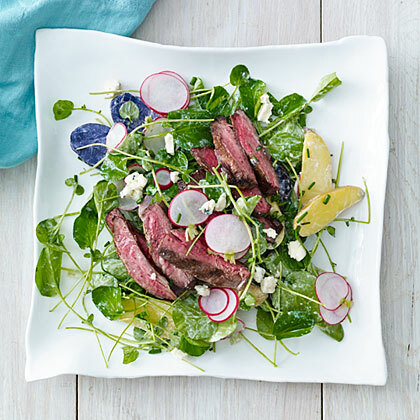 Hearty, satisfying, and delicious, these amazing salad recipes bump your average green salad up a notch with some great sizzling steak flavor. 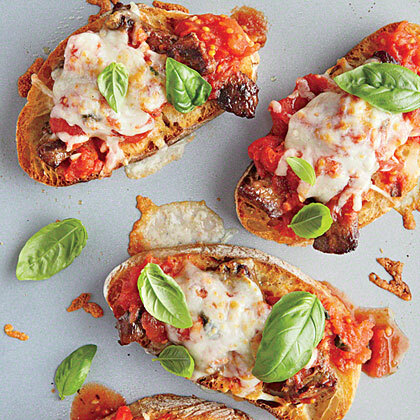 Kids--and adults--will enjoy the classic pizza flavors found in this hearty dish. 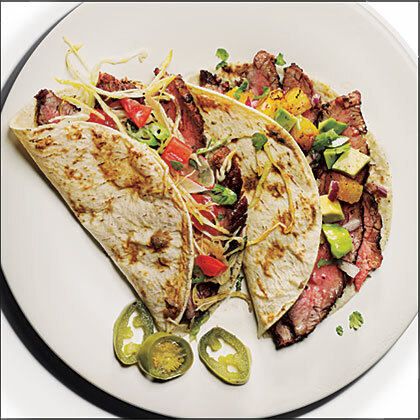 These simple tacos, featuring gorgeous slices of grilled flank steak, have gotten outstanding reviews from fellow MyRecipes users. Combine strips of boneless sirloin steak with bell pepper and onion for an easy Asian-style stir-fry. 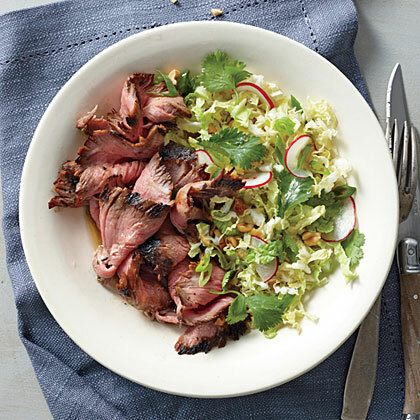 The warmth of nutmeg helps round out the sweet, salty, and tangy Asian-inspired marinade. Try it with grass-fed flank steak, if available. Serve this dish with steamed sugar snap peas and rice or soba noodles. Steak and Potato Salad is perfect for the meat-and-potatoes crew. 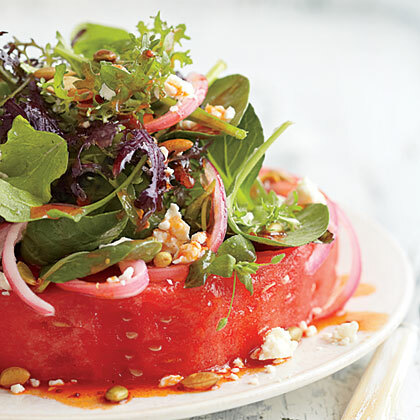 The salad is hearty enough to satisfy and filled with healthy vegetables. Serve these hearty sandwiches with a side of crisp carrot and celery sticks and light ranch dressing for dipping. Make breadcrumbs with the parts of pita you cut off by pulsing in a food processor; freeze for a couple of months.